Our Ultimate Arch Top French Doors offer heightened elegance with graceful curves and the strength and durability you expect from Marvin. Available as an inswing or outswing door, their flexible design and feature options let your home make a grand entrance. Rails, stiles and lite pattern can be designed to align with accompanying side lites or Marvin Round Top windows. 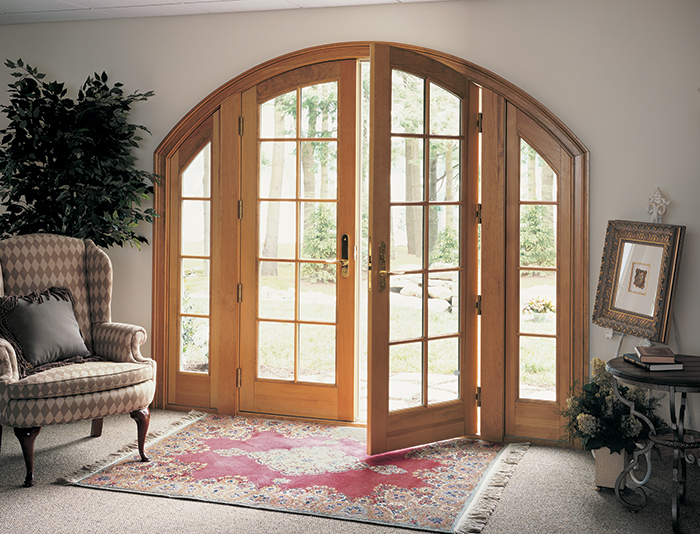 Ask your sales representative for the details on all the Arch Top French Door possibilities.